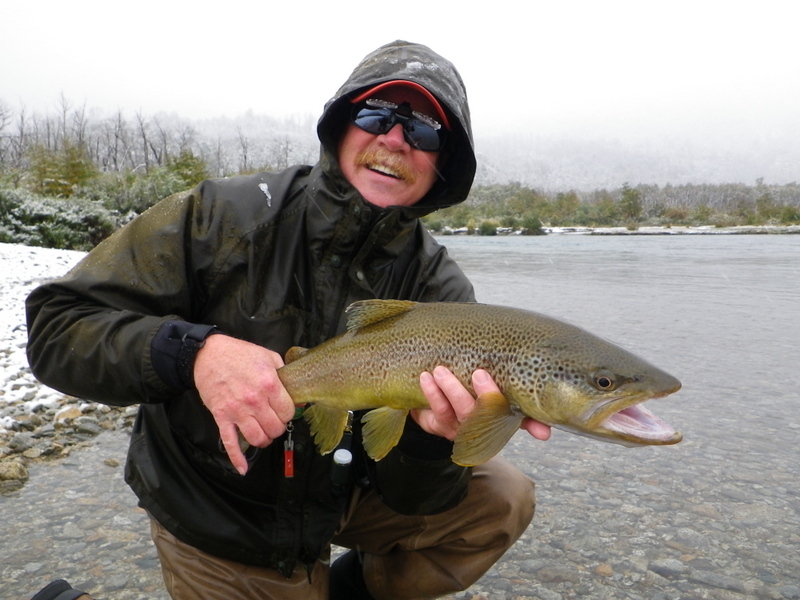 You can tailor a Patagonia trip to fit your desires and angling preferences. Everyone has a favorite type of fly fishing, and probably a favorite time of year to fish. As the seasons unfold in Argentina’s Patagonia region, the fishing changes, as well. From the early promise of November, through the heavy hatches of December and January, the warm summer days of February and March, and finally the fall rains and cool weather of April, there’s plenty of opportunity for all. Here’s a quick guide to matching the seasons with your passion. Sinking-tip lines and heavy streamers are the name of the game in the Patagonian spring. Expect the early season to feature mostly stripping streamers and using sinking-tip lines. It might not be as exciting as watching a trout sip a dry fly. . .until you hook a big brown, brook or rainbow trout looking for a meal after a long winter’s nap. Some of the largest trout of the year fall during these first few weeks. An early spell of hot weather can trigger caddisfly and mayfly hatches, and the long days mean evening dry-fly fishing if the weather cooperates..
Dry-fly season straddles the holidays. As the sun warms the southern hemisphere, hatches start in earnest. With heavy mayfly and caddisfly hatches throughout December and January, there is excellent dry-fly fishing in both the lakes and rivers. The evening fishing can be especially productive, and it is not unusual to catch browns, rainbows, and brookies in one day.. Casting big dragonfly imitations for voracious trout is a Patagonia specialty. Many river systems, such as Rio Manso, feature several lakes. Many of the lakes, and sections of the rivers, have enormous populations of dragonflies that are a primary food source for the trout of Patagonia. When the dragonflies begin hatching, sometimes as early as the end of November, the trout gorge on both the nymphs and the adults. Dry-fly fishing during this time is exciting and nerve-wracking, as the biggest trout around come readily to the surface for these mouthfuls of protein. Dragonflies emerge over several weeks and are present all season long. Once they hatch, big rubber-leg patterns work well all day long in both the rivers and the lakes.. In high summer, your best fishing will be early and late in the day. When the hot, bright days of summer roll around, the fishing slows during the day. There is still good fishing early in the morning or late in the evening, but the middle part of the day is better suited to other activities like hiking, horseback riding, or rafting. If you travel with a spouse who isn’t a hard-core angler, or you are interested in a more well-rounded adventure in Patagonia, this is a good time to come. Check first, as conditions vary every season..
Fall is a great time to chase trophy fish that are fattening up for the long winter. The beginning of fall fishing is marked by the first cool front that blows in from Antarctica, with significant rainfall. Sometimes this happens at the end of March, other years not until the middle of April. Once it does come, though, the fishing heats up as the waters cool down. 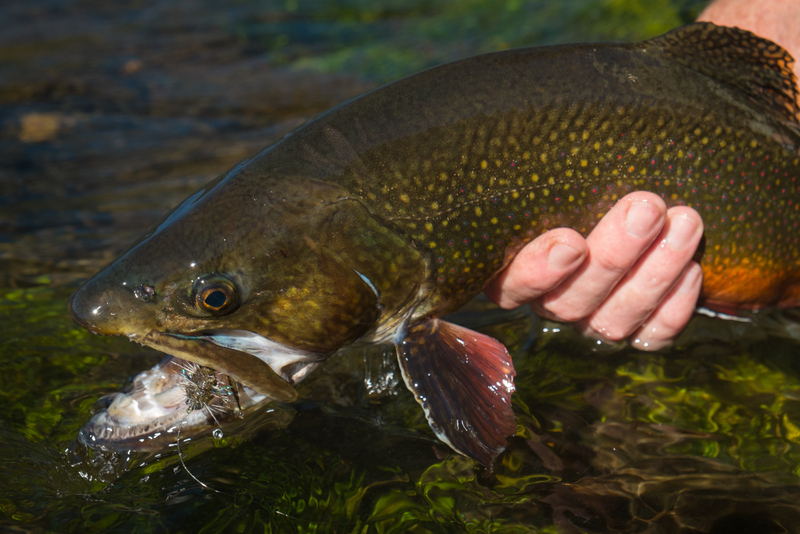 Brook trout congregate at the mouths of lake tributaries and take on their bright spawning colors. 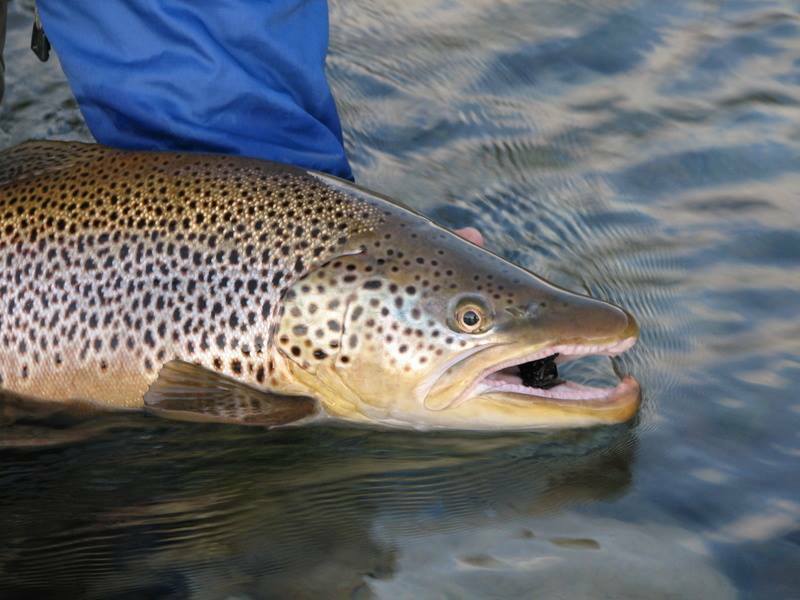 Big browns go on the prowl, and rainbows chase bait in the lakes and rivers. 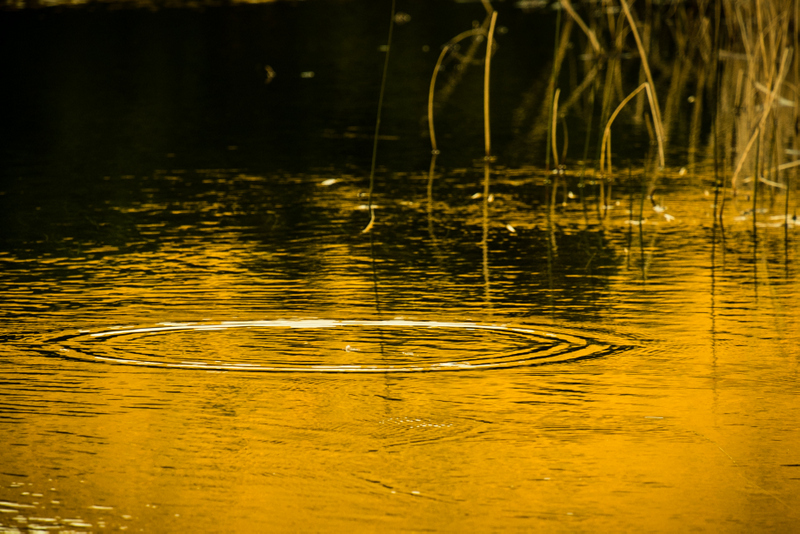 Although most of this is streamer fishing, there are several key mayfly and caddisfly hatches that can make for good afternoon and evening dry-fly fishing. 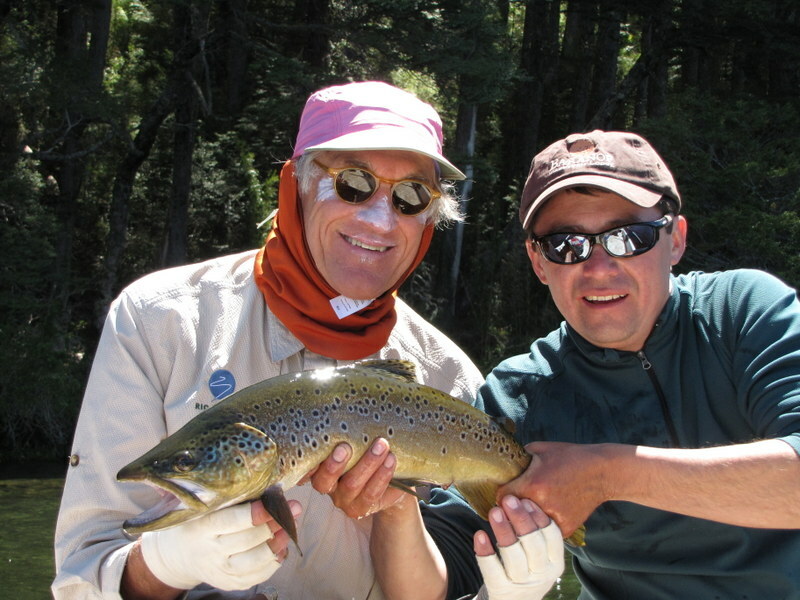 John Bleh lives in Vermont, and he represents Rio Manso Lodge in the U.S. For more in-depth and up-to-date information on fly fishing in Argentina, contact Jeremy Kehrein (a former guide in Patagonia) at Orvis Travel (orvistravel@orvis.com; 800-547-4322).